*recommended min. temp to apply is 45f. clean all dirt and wax off surface prior to application. Help support Minnesota Steelheader and our mission with a cool window decal - or 2. Our full color decals are 2.75" in diameter and are made entirely in the USA. These are waterproof and will stick on most surfaces. Show your pride today! 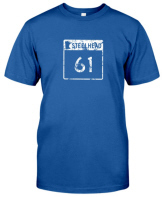 All profits from MN Steelheader merchandise support the MS mission and Minnesota's Steelhead, the North Shore fishery and ecosystem. Contact us with any questions. These decals are screen printed on white exterior grade vinyl. Each decal has a clear pressure sensitive adhesive for easy application. Just peel off the protective liner and apply*. Proffits from all our products go directly back into supporting our mission. Thanks for your support! 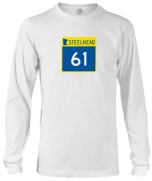 Purchasing Steelhead 61 gear is a great way to show your support for our wonderful North Shore fishery. 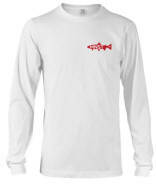 Proceeds from your purchase supports our ongoing fisheries conservation efforts, continued educational programs, clinics, events and this website. Thanks for your support! 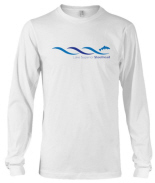 Click on the link to purchase your MNST Apparel and mugs today! 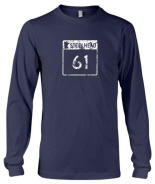 We have mens, womens, and kids wear in tees, long sleave, sweatshirts and hoodies! Tons of colors too!